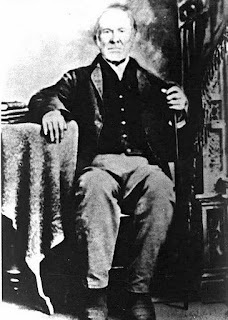 I have mentioned the following story to a few friends that have asked me to send them a copy and I thought I would share it with more of you by posting it on my blog. The story below was written by a dear friend of ours. He shared it with us for the first time when he was asked to speak in church while we were visiting his family in Canada. Still to this day it brings tears to my eyes. I know it's a long post, but if you have the time it's worth reading. Happy Pioneer Day to all our friends & family!! Favorite Finds that will Make You Laugh! I've been super busy at work the past week (or two or three) so this will be short and sweet! And there's a bit of a funny and/or mocking theme with today's blog post. Hope something makes you laugh!! 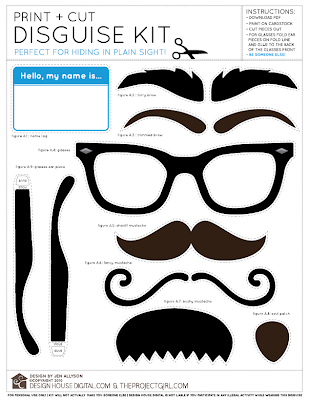 Funny Disguise Kit Download Found this on cool website called Design House Digital. This is a free PDF download, just click on the image on this link and you can save and/or print. This made me giggle and giggle and I think we'll actually cut these out and post some pictures on here later. I'd love to know if you post pictures using this fun download too! Bakerella does it again...she posted this rather funny blog post on how she made these darling Toy Story inspired cake pops! I even loved that she called the post "Ham & Potatoes"!! 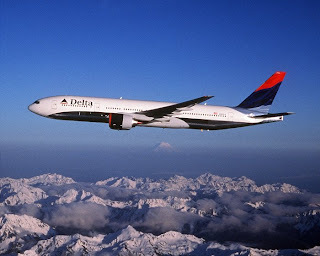 Thanks everyone for the love on my blog yesterday. 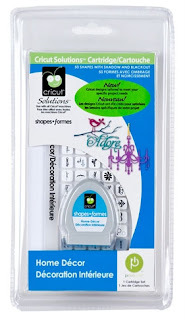 I'm excited to announce the winner of the Cricut Solutions Cartridge - Home Decor!! And the WINNER is...LEAH THE ORANGE. Thanks again ladies!! I'll keep posting more inspiration and giveaways! And thanks for your support of the Imaginisce Blog too!! GIVEAWAY today.....because I'm so excited that my card projects are being featured on the Imaginisce Blog tomorrow. 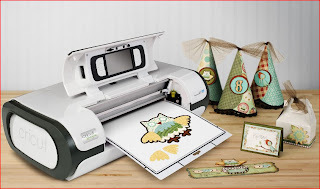 So to celebrate I thought I'd giveaway one of my favorite Cricut Solutions Cartridge - Home Decor!! Here's a peek of the projects that were featured on the Imaginisce Blog using the new Apple Cider collection. If you'd like to win a goodie box of this collection, be sure to go over to the Imaginisce Blog and leave a comment. They're giving away goodie boxes every day this week! Of course, I created the darling birds, titles and scallop borders with my Cricut (Wall Decor & More Cartridge). Fin-tastic Cards by Nichol Magouirk Oh how I wish I had the time to learn how to use Copic markers because I already own these fun Snag'em Stamps from Imaginisce. 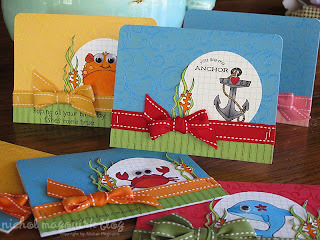 The amazing Nichol Magouirk created these lovely cards with the Splash Dance Snag'em Stamps and copic markers. Don't you just love the googly eyes? Be sure to follow Nichol's blog for more inspiring ideas. 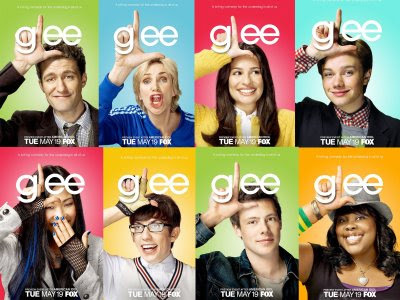 My Tuesdays are just not the same since Glee ended for the season. I miss the anticipation of wondering what songs (good & bad) they will add their Glee spin to it. Songs like "Dancing with Myself," "Poker Face" and "Don't Stand So Close to Me" were great when sung by the original singers, but I loved them TONS more when I heard them sung on Glee. They never disappoint at all and it's worth watching (in my opinion). Tuesdays were the day I was so excited to sit down and dedicate my uninterrupted time to watching...now nothing is on and that makes my Tuesdays very sad. Although I'm not spending that much on iTunes these days...every Tuesday cost me about $6-7 in downloads during the season (and yes, I own all the songs...best commuting music around)! !